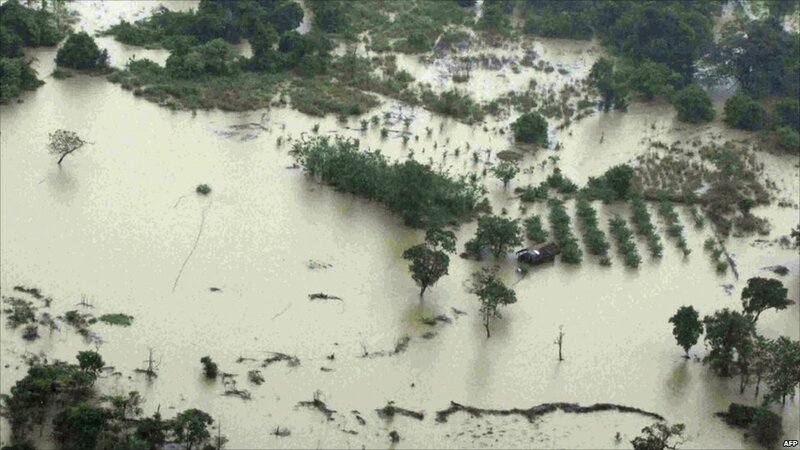 The Sri Lanka military is battling to deliver relief to hundreds of thousands of flood-hit people in the east and centre of the country following recent torrential rain. Some areas are accessible only by helicopter. The authorities say a million people are affected, a third of them left homeless by the floods. Thousands of houses across the country are under water and more than 20 have been killed. 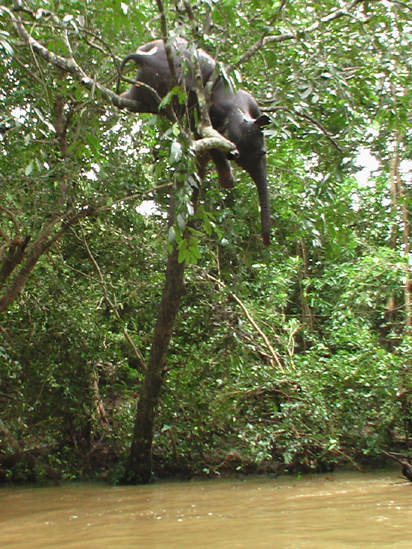 Many animals are also thought to have perished - this baby elephant was found dead high up a tree in northern Sri Lanka after the Kaloya river rose 18ft (5.5m) above its normal height. 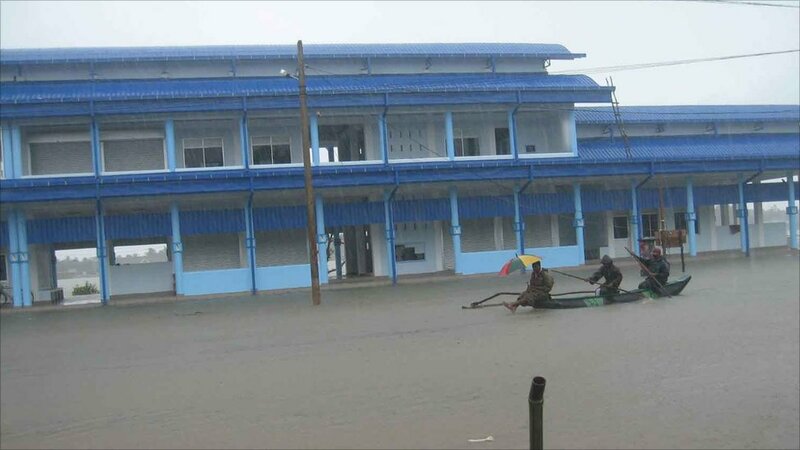 The full scale of the flooding can be seen from this image of the bus station at Batticaloa on the east coast - an area normally throbbing with heavy traffic, it now resembles a ferry terminal. 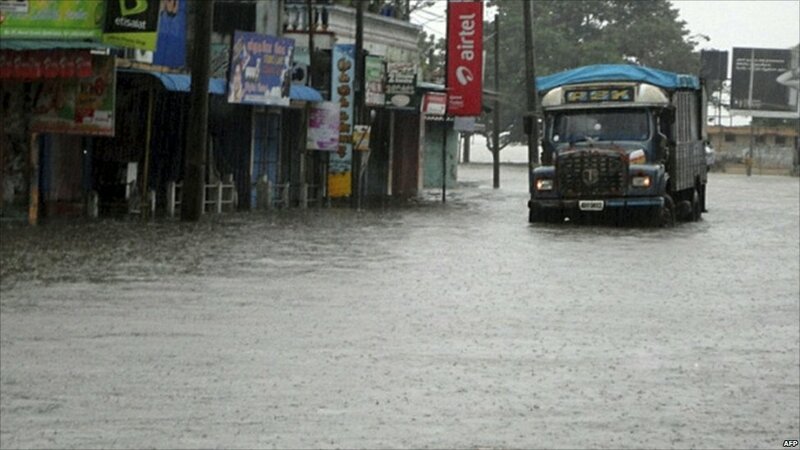 This truck was photographed trying to make its way down a flooded street in Batticaloa, one of the worst-hit areas. Officials say that in some parts of the east, rainfall since Saturday has been the highest ever recorded in such a short time. People had little time to gather their possessions. 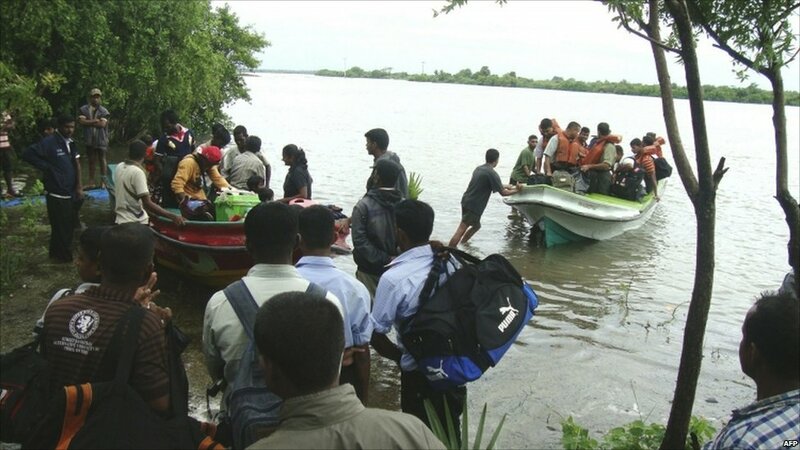 The waters rose so fast in Batticaloa that some people had to be rescued at night to escape dangerously rising waters and the increased threat of landslides. 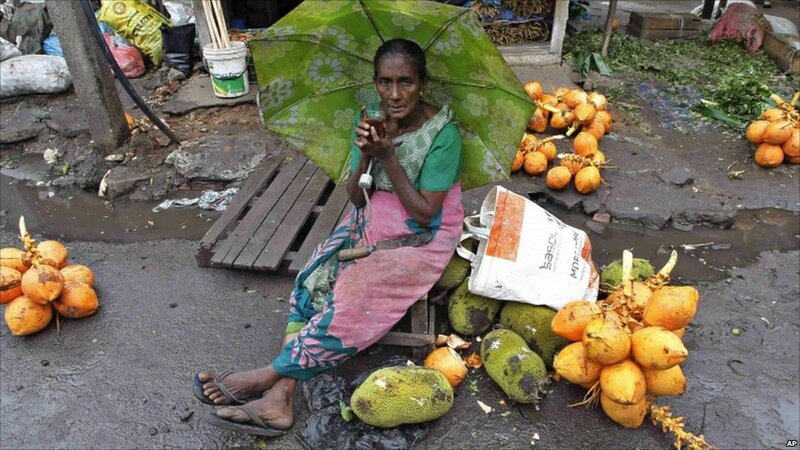 The bad weather has driven up prices of food, such as the jack fruits and coconuts being sold by this woman in Colombo. 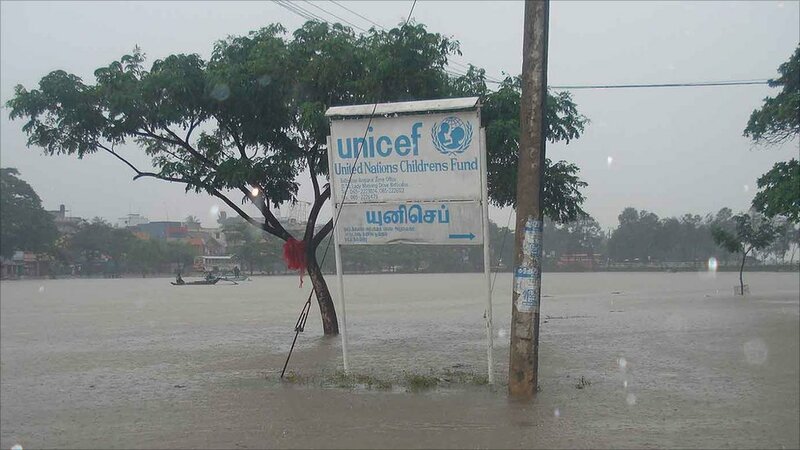 Aid agencies including the UN are at the forefront of the relief effort. The UN children's fund says it is particularly concerned over the fate of thousands of children living in unhygienic conditions. Clean drinking water is an urgent priority. 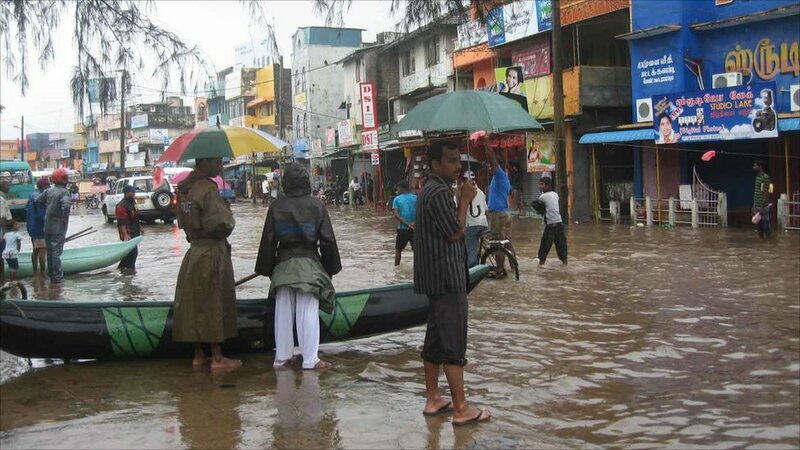 Meanwhile, people in the Batticaloa area must wait for the waters to recede - something which experts say could take some time because of the low-lying nature of the land in relation to the sea.